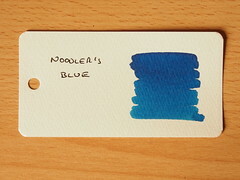 The second in this batch of ink reviews is for Noodler’s Blue. This should be a bog standard ink, but is it? 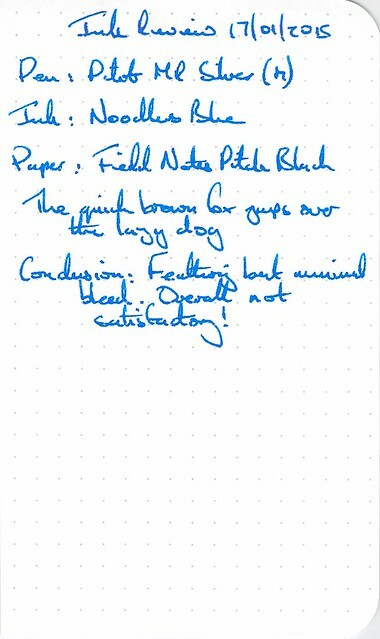 Following from the last review, this ink has no backstory, and no special properties. 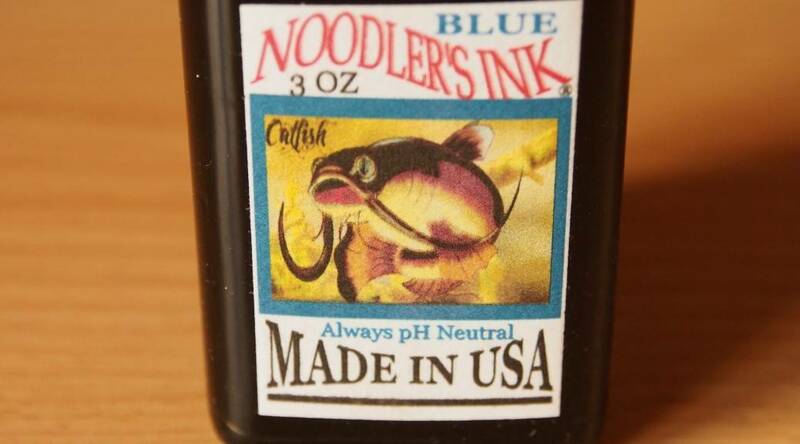 Instead, the boldest claim on the minimalist catfish label is “Always pH Neutral” – exciting stuff. 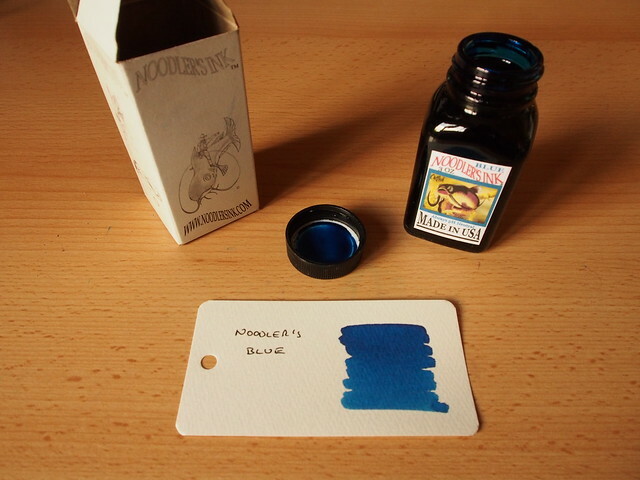 Other than this, the ink came in the standard 3oz bottle enclosed in the standard box. The only mysterious thing about this ink is I can’t recall who I actually bought it from – and I can’t find anything in my emails either – which is strange. 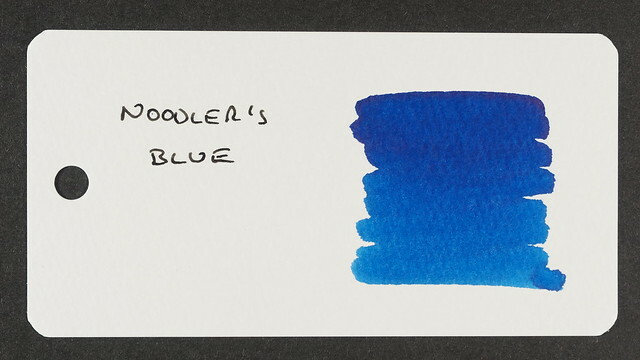 It’s not one of Noodler’s more expensive inks so it should fall into the moderately priced category. 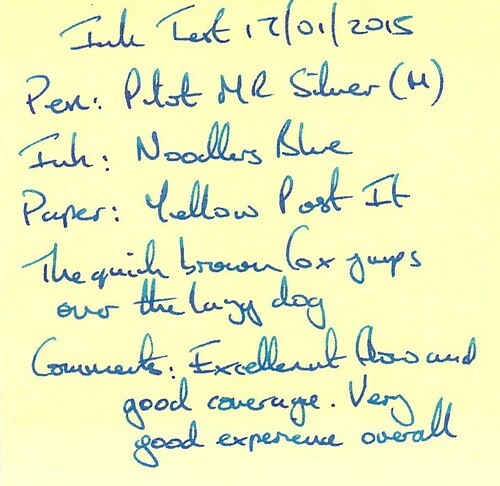 The test pen in this case was a Silver Pilot MR with a medium nib. Water resistance was negligible – almost nothing was left on the paper after holding it under running water for 30 seconds, and drops of water obscured lines quickly. Drying time was slow at over 2 minutes. 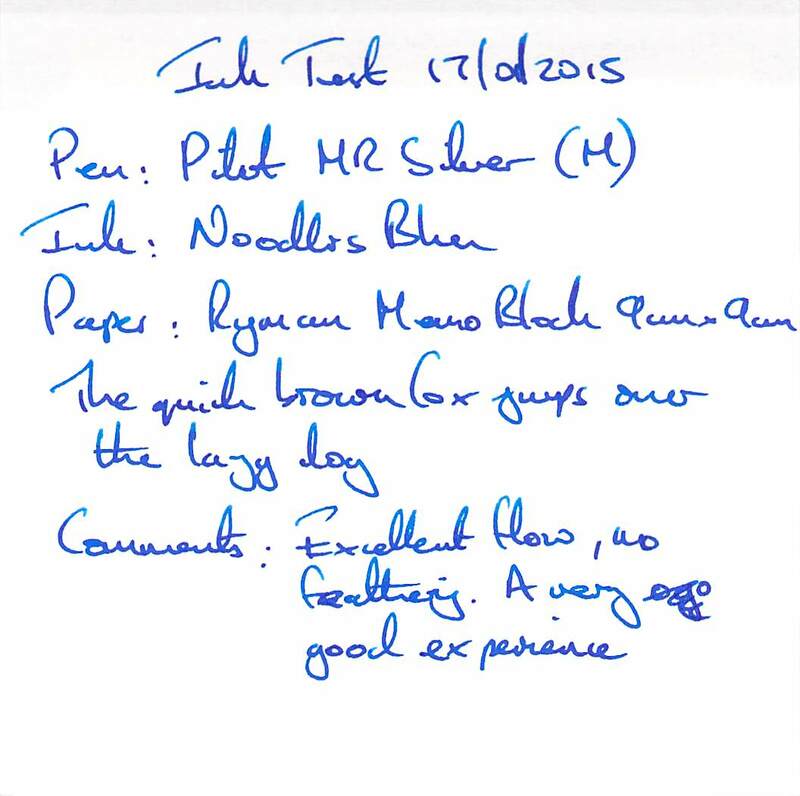 The ink was however very easy to clean from the pen. 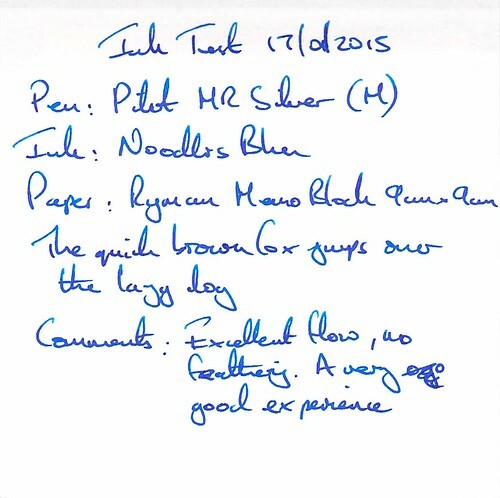 The ink flowed exceptionally well, even after being in the pen for several weeks. The hint of teal doesn’t really show in the scan. Another smooth flowing writing experience. The yellow background brings out the teal in this scan. 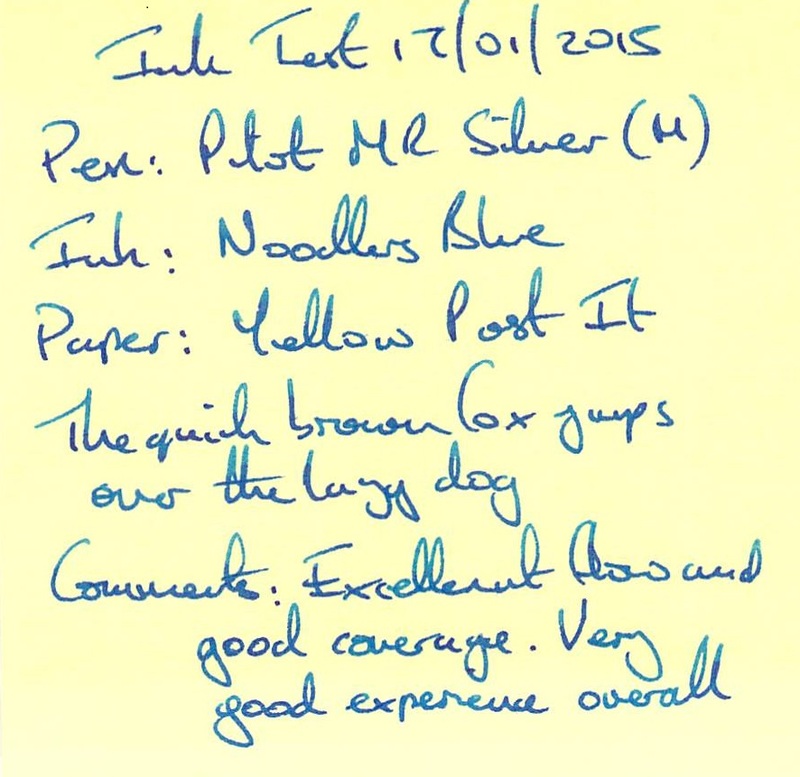 Field Notes papaer triumphs again – the ink is washed out and feathers badly. The Word Card doesn’t really show the depth of shading this ink is capable of. 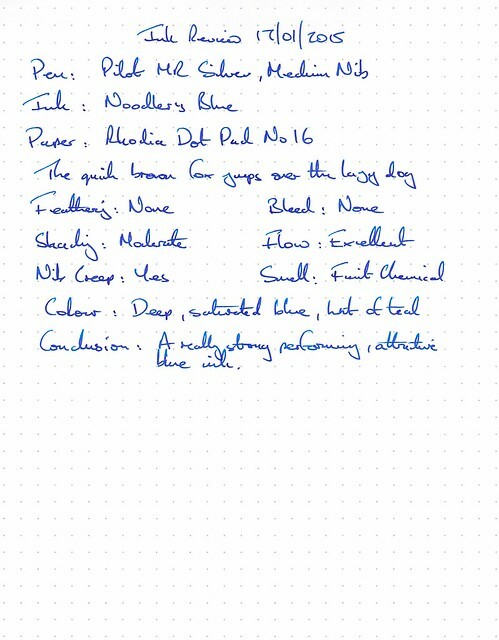 This ink show almost no water resistance and is slow to dry (at least on Rhodia), but it’s smooth flowing and easy to clean. So it has it’s advantages and disadvantages. 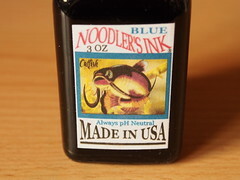 Why has it become one of my favourite inks? One property trumps the rest – the colour. 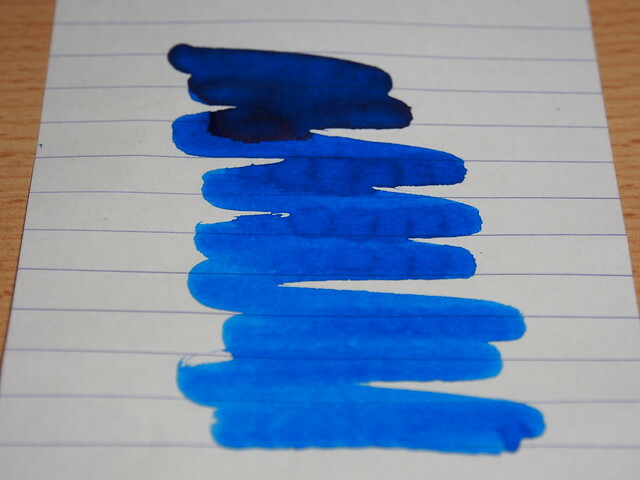 My inner poet has let me down on this occasion, and I can’t really say what sets this blue apart from so many others. The scans and photos above don’t really show is either. So instead, below is a rough and ready shading test on Rhodia Paper – all settings on auto under artificial light. The teal still doesn’t show through, but I think it gives a better idea of the depth of colour this ink can give. 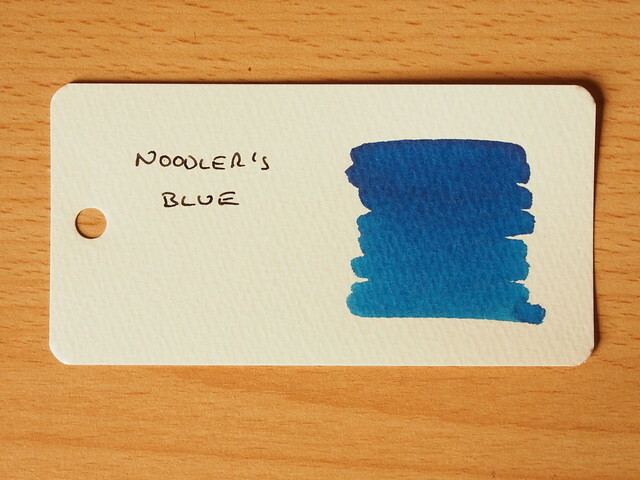 If you find blue inks boring, then this is unlikely to sway you, but for someone like me, who enjoys a blue ink if the colour is just right, then this one is worth trying out, even just a sample.